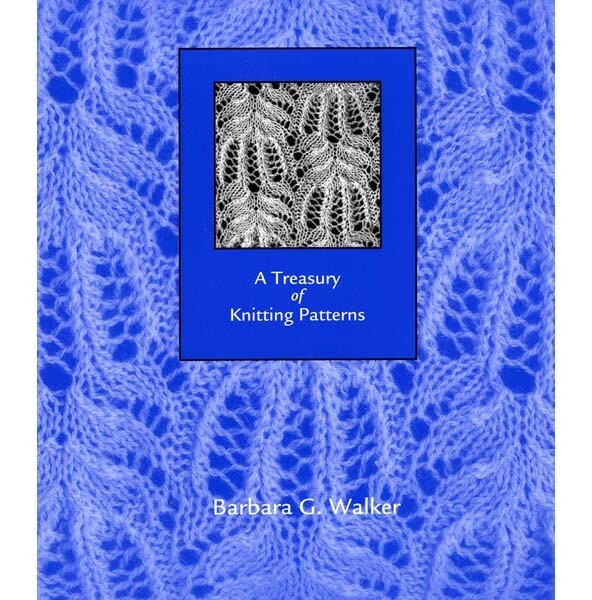 Barbara Walker’s first treasury introduces us to hundreds of traditional patterns for Knit-Purl combinations, Ribbing, Color-Change, Slip Stitch, Twist Stitch, Lace, Cables and more. “Whether a novice or an expert, you will find plenty of novelty, challenge, and inspiration in working with this book,” writes Barbara. With a wonderful introduction and information about the origins of knitting. Softcover. A First Treasury of Knitting Patterns may also be purchased as part of the Treasury Set with a 10% discount on all four titles.